How and where people consume content has changed. We’ve all noticed it. Instead of spending hours poring over the newspaper or sitting in front of the TV, we grab small “bites” of information or entertainment whenever we have a chance. And the media channels we choose are usually whatever is closest to us. Whether actively searching for content or simply “infosnacking on microcontent in moments of microbordem,” consumers usually don’t have much time to devote to each piece of content. The INMA even suggests that the average adult attention span has dropped down to only 2.8 seconds! This creates an obvious challenge for marketers: how do you reach these consumers and get them to listen to you in a matter of moments? The solution is snackable content. In his SXSW presentation, Brad Cohen defines snackable objects as “bite sized nuggets of content whose meaning can be grasped quickly (consumed in one bite).” But don’t think of these snacks as empty calories. Even if it only lasts a few seconds, it’s still an opportunity to engage and educate your audience. Adding short form and visual content to your overall content marketing strategy can help build brand awareness. Since this type of content is easy to share on social media, it also helps amplify your brands reach and increase impressions. That it’s time to abandon your company’s blog, or stop creating eBooks, guides, and whitepapers! Your website, including your blog, is a great place to distribute long form content since your audience is looking for (and expects to find) this type of information. Producing snackable content will help your business get found, grab consumers’ attention, and then drive traffic back to your site. Here are some ways you can use digital marketing to deliver snackable content to your audience. If you need any more proof that consumers are after short bursts of information, a study recently found that Twitter is the fastest-growing social network in the world. When you’re limited to only 140 characters, it’s easy to keep things short and sweet. 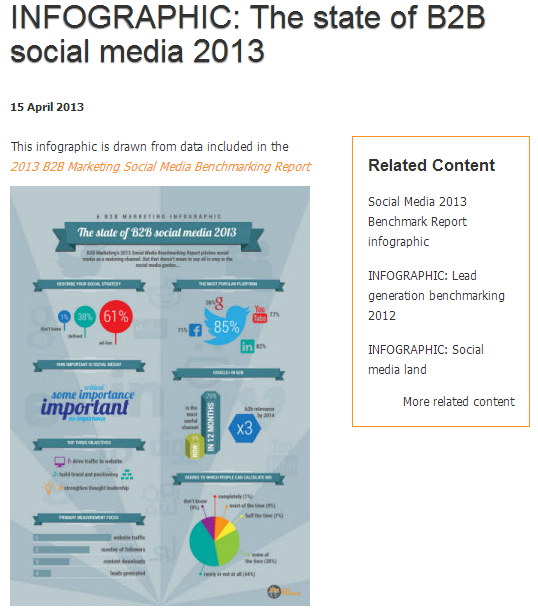 Chances are your company’s already on Twitter, but are you getting the most out of it? To get more shares on tweets linking back to your blog, try posting an interesting fact or stat instead of just the post title. Both of the following tweets by Social Media Today link to the same article, but one is a more satisfying (and sharable) bite than the other. Which one would you rather retweet? It’s not always about getting people to follow a link. 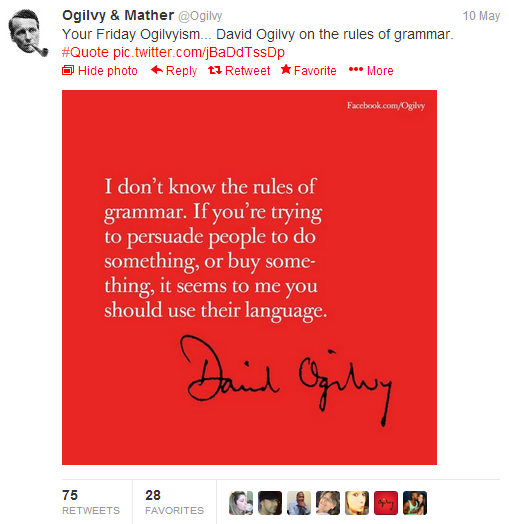 Try tweeting out quotes, or photo quotes like Ogilvy & Mather. 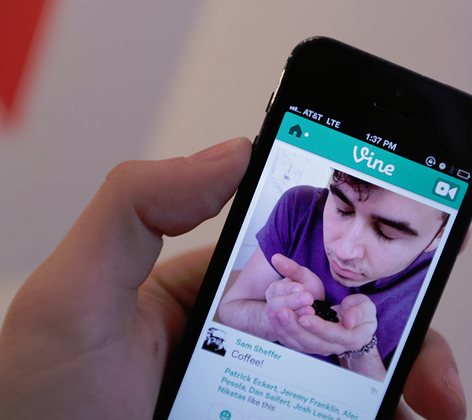 Vine videos are the ultimate in short form video content since you’re limited to only 6 seconds. Don’t think your company can get creative and say something valuable in such a short time? Check out these awesome examples of brands using Vine. Marketo makes it easy for their readers to share snackable content too by creating prepackaged tweets they can share in a click from the sidebar of their blog. 65% of people are primarily visual learners, so it’s not surprising that last year Pinterest hit the milestone of 10 million US monthly visitors faster than any other site – ever! Pinterest is all about creating and curating visual content. And while you’re given up to 500 characters to describe each post, the best pinners use words sparingly and let the pictures do the talking. If you’ve ever spent any time on the site, it’s easy to see how B2C brands are able to engage a huge community of followers. 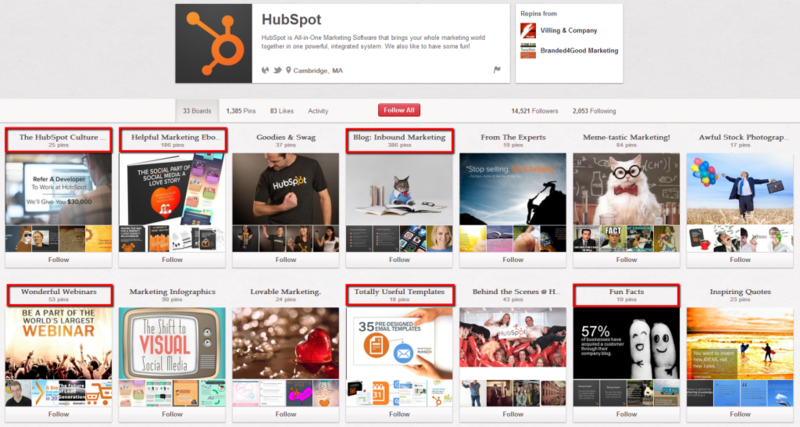 While it may be more challenging to use Pinterest effectively for B2B marketing, HubSpot proves that it’s certainly not impossible. 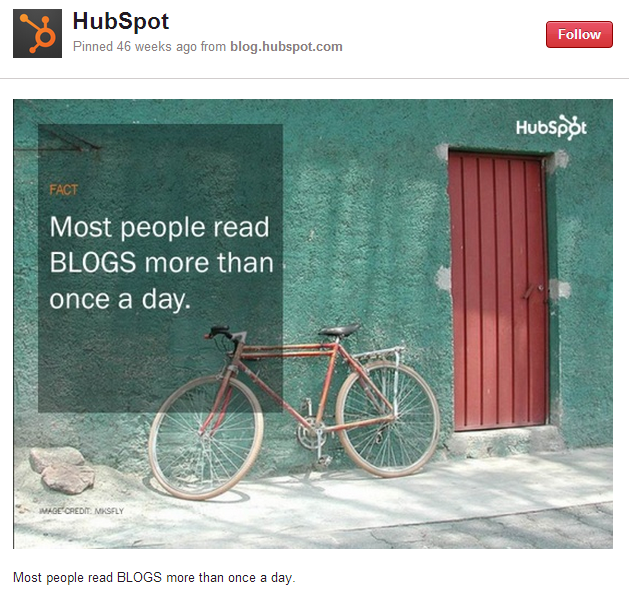 HubSpot posts their eBooks, webinars, templates, and company blog posts on their Pinterest boards in order to drive traffic back to their website. But if someone doesn’t have time to absorb that depth of information, HubSpot has a variety of other content that’s much easier to digest. Their HubSpot Culture Code board is filled with short, sharable sayings overtop of images that communicate what their brand stands for. HubSpot produces a huge amount of data, but if you’re not interested in reading a full report you can grab quick stats and graphs from their Marketing Data and Fun Facts boards. Why spend time making boards like these? 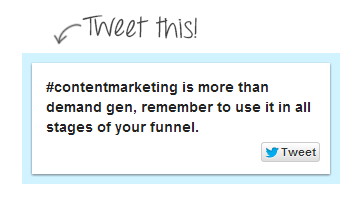 Because someday, when a consumer does have time for long form content, they’ll already know which company to turn to. 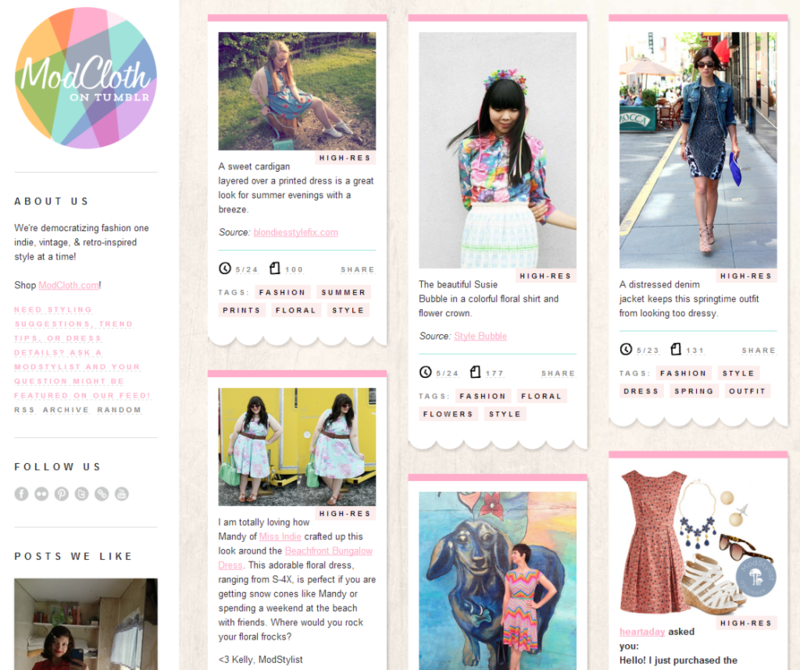 This alternative blogging platform is a great tool for engaging consumers and developing your brand persona. And with its $1.1 billion price tag, you know that this site has massive reach. Tumblr users love sharing pictures and gifs, so leave the longer, text-heavy posts for the company blog. 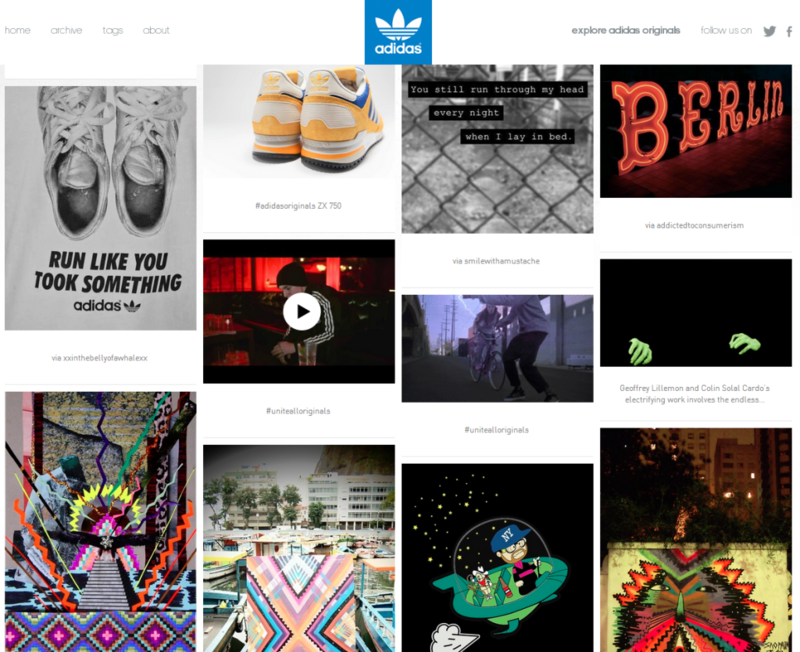 Take advantage of Tumblr’s nearly unlimited customization options to communicate what you’re brand is all about. Sure your company’s information is available on your websites “About” page, but look at how quickly you can identify the brand personalities of these fashion retailers through the visuals on their Tumblrs. You might be thinking: hey, didn’t this post start out by saying blogs are great places for longer content? That’s true. But it’s also a good idea to change things up every once in a while by posting charts, videos, and infographics. These smaller pieces of content add variety to your blog, and don’t require huge timelines or budgets to produce. Just like with text posts, always make sure that the content you’re creating is relevant and provides value to your target audience. If your business has even conducted a study, or has access to large amounts of data on an interesting topic, try publishing it as an infographic. Include a call to action at the bottom of the blog post letting readers know that they can download the full report (provided they give you their name and email address first). Just because your company site has long form content doesn’t mean that you can’t also get creative and add in some snackable bites. While consumers further along in the buying process may want to spend time carefully gathering information, those who are visiting your site for the first time might need something short and snappy to grab their attention and keep them from clicking away. Integrating informative snackable content into your website definitely requires some outside-of-the-box thinking. 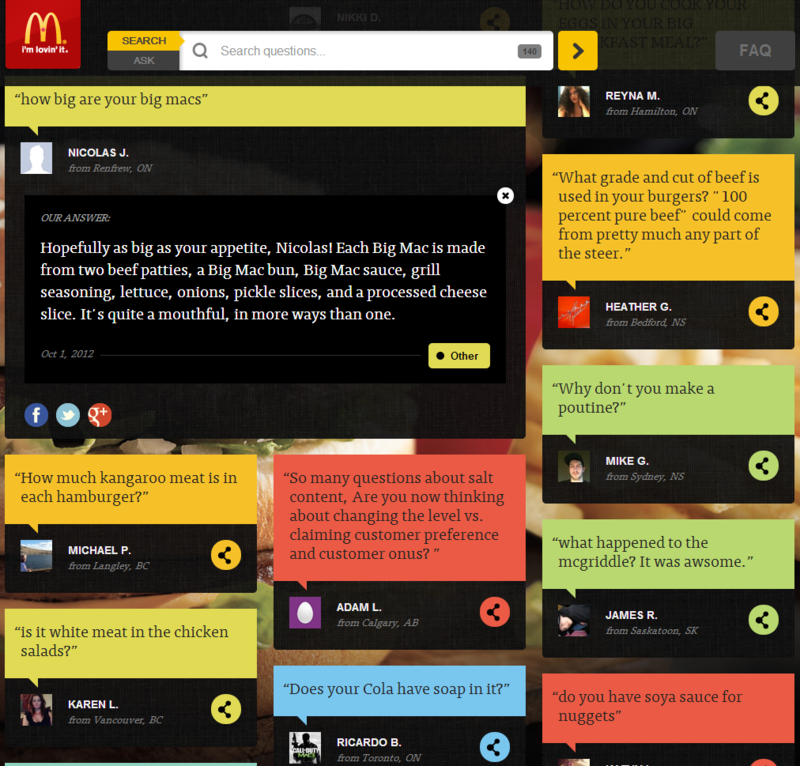 For a little inspiration, head over to the Our Food Your Questions page of the McDonald’s Canada site. Since launching the program last May, McDonald’s has replied to thousands of questions from Canadian consumers, which they’ve made available online. Clicking on each question reveals the complete answer, which are typically less than 100 words. Has your business had success creating snackable content? Share your story in the comments below.